Can anything stop Monaco from being relegated at the end of this season to Ligue 2? 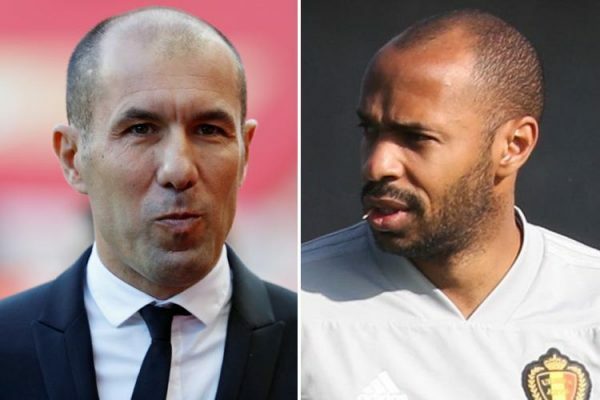 Leonardo Jardim might do it, although his job for the team in the period before he was sacked earlier this season had more lofty aspirations about it – Champions League, winning a title (and actually doing it), all while the ownership keeps selling key players and he’s forced to replace it with talented youngsters for the most part. At some point, the prospect well ran dry. When you combine it with complete managerial virginity like Monaco went through with Thierry Henry, the result is a disaster. Their loss to Dijon leaves them in 19th, 3 points below 17th, but a match more played. While nostalgists feels sorry for Henry joining the long ranks of snarky pundits who couldn’t make it on the sidelines, the problem here is Monaco – a club with a transfer policy that doomed it eventually, despite the heights the club reached less than two years ago with a miraculous championship against PSG. They lost their best player to the Qatar-Parisian project after that season, but selling Mbappe hasn’t stopped Monaco from letting others go. The arrival of Cesc Fabregas seems like a band aid. So does Jardim’s return. It’s not all about selling stars. The injury fairy has been especially cruel in Monte Carlo this year. Perhaps more than anything – a capable manager, great players, a front office that doesn’t sell all the team’s best players – Monaco need to catch a break. After their 13th defeat this season, they’ll probably need more than break.